This abridgement of Dickens classic is enhanced by the remarkable and sumptuous illustrations by top children's illustrator Christian Birmingham. 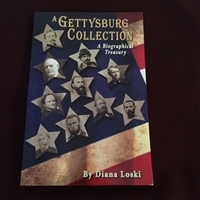 The editor of the Gettysburg Experience Magazine, Diana Loski, brings to readers her favorite stories from the historical town Gettysburg. This amazing collection of hundreds of cartes de visite is a superb photographic reference and companion to other documents already written about the 1860-1865 time period. Each carte de visite reveals a multitude of details. Every time this book is opened, it will be an adventure. Vol. ! This book is a unique record of magnified black and white images showcasing what "real" people wore in this hugely popular time period. The Way They Were: Dressed In 1860-1865, Volume 2 is the definitive study of clothing details and accessories for women, children and men who lived in 1860-1865 America. 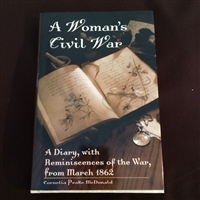 Cornelia Peake McDonald's story of the Civil War records a personal and distinctly female battle: a southern woman's lonely struggle in the midst of chaos to provide safety and shelter for herself and her nine children as their home is destroyed by the forces of war. In this storybook collection the well known artist Don Daily brings to life three classic Christmas stories- The Nutcracker, The Velveteen Rabbit, and The Twelve Days of Christmas. This book is a great way to start the holiday season by bringing a sense of magic and wonder to your household! 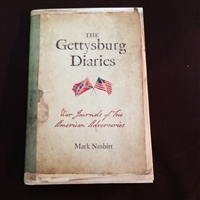 A touching and thrilling story of a young girl's experiences at the battle of Gettysburg, first published in 1889. 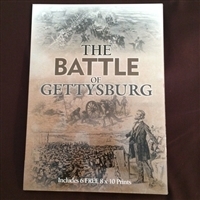 Fifteen year old Tillie Pierce found herself in the middle of the horror that was the Battle of Gettysburg. 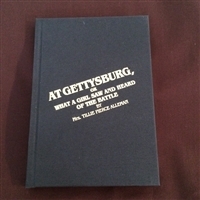 Using Tillie's own words along with additional historical facts and photos, this book tells Tillie's story. With a gifted novelist's imagination and a historian's eye for detail, Barbara Hambly tells a story of astonishing scope, richly peopled with real-life characters and their fictional counterparts, a tour-de-force tale of power, politics and the role of women in the nineteenth- century America. 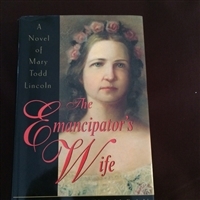 The result is a Mary Todd Lincoln few have seen and none will forget.